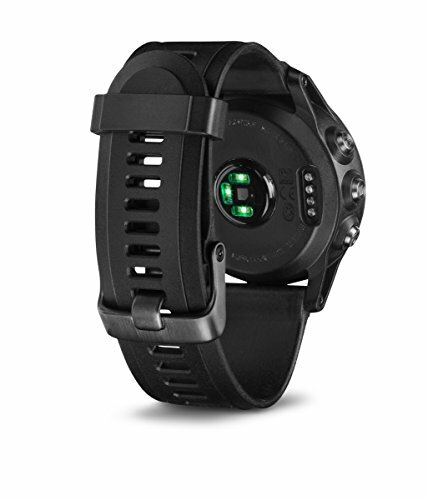 A GPS capable, smart and feature rich multi-sports training watch. 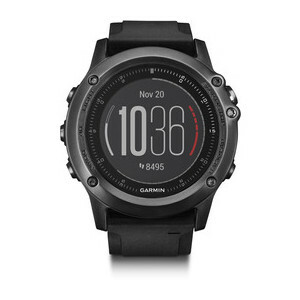 The Garmin Fenix 3 HR is a truly special fitness wearable that stands out from the crowd with it’s high build quality and special features. It was designed to withstand the toughest tests and roughest conditions. The device has a reinforced housing with protective PVD-stainless steel bezel and buttons, and a treated silicone band for extra durability. The display remains fully visible even in bright sunlight and the LED backlight lets you access your data in dark. The battery life is promising: up to 40 hours in battery save mode (UltraTrac), 16 hours in GPS mode and up to 2 weeks in smartwatch mode. The Fenix 3 HR is water resistant (10 ATM) and suitable for swimming. The Garmin Fenix 3 HR measures your rate and tracks your sleeping habits, making it a perfect choice for demanding sports enthusiasts. Download the free Garmin Connect mobile app for Android, iPhone and Windows Mobile and sync your data automatically.